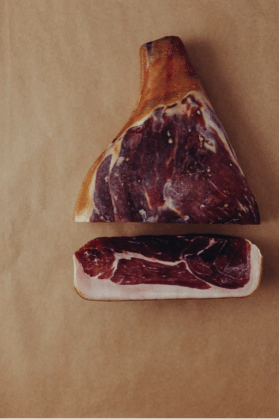 San José Prosciutto is a true artisanal product, produced by hand and made using traditional techniques. 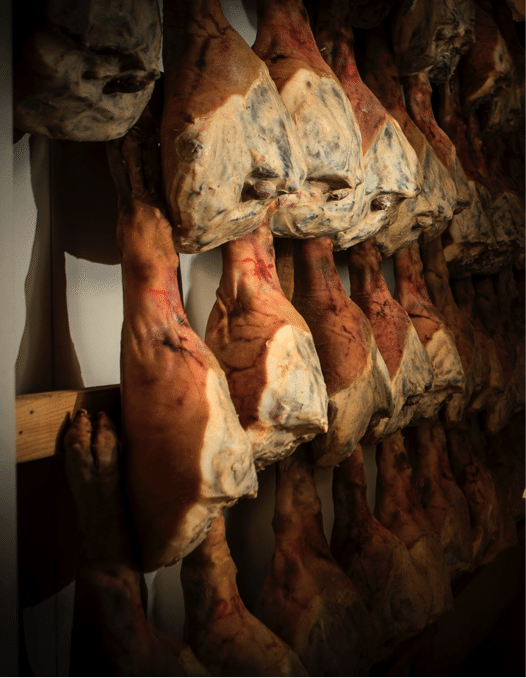 Legs of Australian, female pork are hand salted for a lengthy period, allowing the flavours to fully develop. 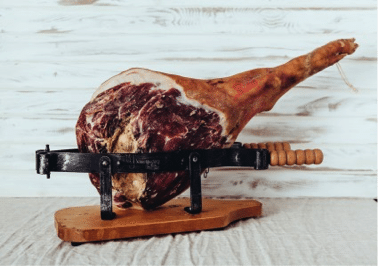 It is then matured on the bone for a period of around 18 months in the custom built maturation rooms of San José, where the perfect balance of humidity and temperature are perfect for curing the legs of Proscuitto. 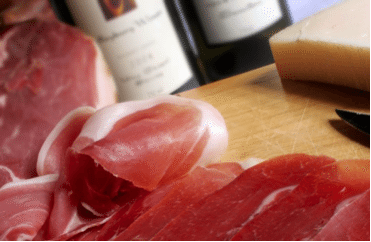 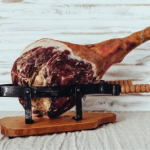 Each prosciutto is hand selected before being released for sale; the prosciutto is tested by inserting a fine bone into the meat to test ripeness. 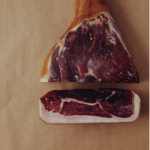 Only an artisan prosciutto maker will understand the aromatic differences that signal a perfectly mature product. 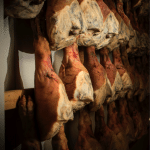 De-boning and pressing are carefully done by hand to retain the natural oils and moisture. 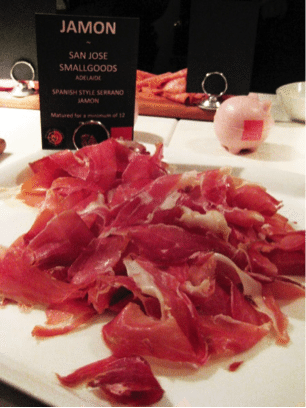 San José Jamon Tipo Serrano – Multi award-winning Spanish style Jamon matured on the bone with trotter for 18-24 months. 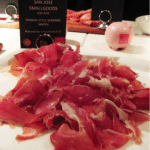 San José Jamon – Black Pig – Totally free-range, paddock roaming, Heritage Black Berkshire pigs, matured on the bone for 24 months. 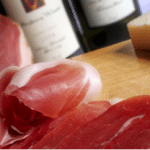 Delicious Produce Awards Medalist 2013 & 2014.